Our dedicated Logistics consultants supply all categories of drivers including LGV C+E, LGV C, LGV C1 (7.5 Tonne) van and car drivers. We are a member of the FTA Driver Agency Accreditation Scheme ( DAAS ). 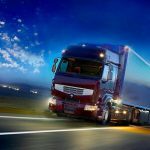 The FTA Driver Agency Accreditation Scheme (DAAS) is undertaken by driver recruiters who want to lead the industry in rising the quality standards and compliance in the UK driver hire industry. The Staffing Network has a large pool of experienced drivers available across the UK. Our drivers are available 24 hours a day, 7 days a week and can be supplied to you within the hour. All drivers are reference checked before working and are supplied subject to passing a written test for tachographs and geography. We offer drivers free of charge for “on the road” assessments. We always ensure that our drivers and consultants are up to date with current legislation. We undertake Driver CPC courses in our offices on a regular basis, offering a discounted course for our drivers and clients. Our Driving division works with our other Staffing Network divisions to supply all Transport & Distribution related staff including Order Pickers, Fork Lift Drivers ,Dispatch Staff and Drivers Mates. All of our staff are experienced with a number of skills and we can supply any number of staff and many of our staff are available within an hour of requests. Our staff will complement your workforce to ensure that any busy periods or holidays and sickness do not effect the operation of your business in any way. Can’t find something to suit? Look at our other job pages!